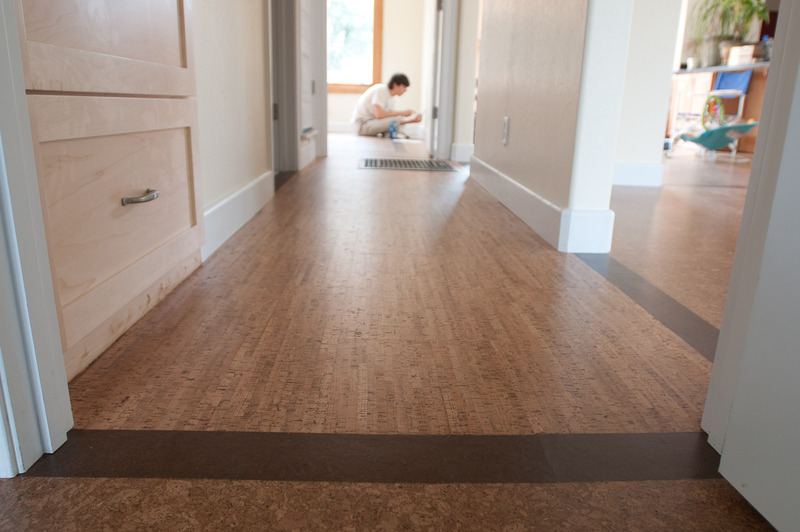 We're super happy with our cork floors, installed by Master Mart. 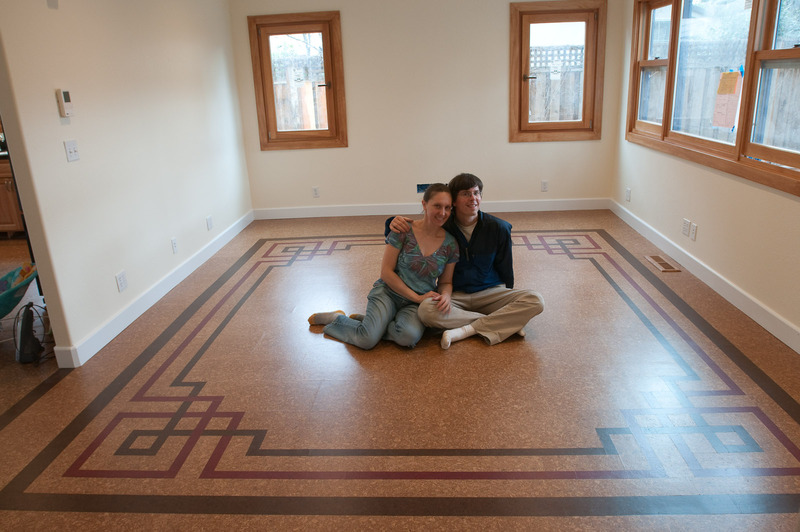 I provided Jerry with a design, and he worked with us to make it a reality. The crew on the site worked really well together. Ramone was the foreman. He was sharp. He would think through the details, get the other two workmen started on installation, and once they were doing the right thing Ramone would move on to the more complicated details of the job. He even fixed one poorly thought out door frame (originally done by another contractor) to look much better. I think it's really important to have a foreman whom you trust on the job site for most of the duration, since tons of little decisions come up throughout a work day. 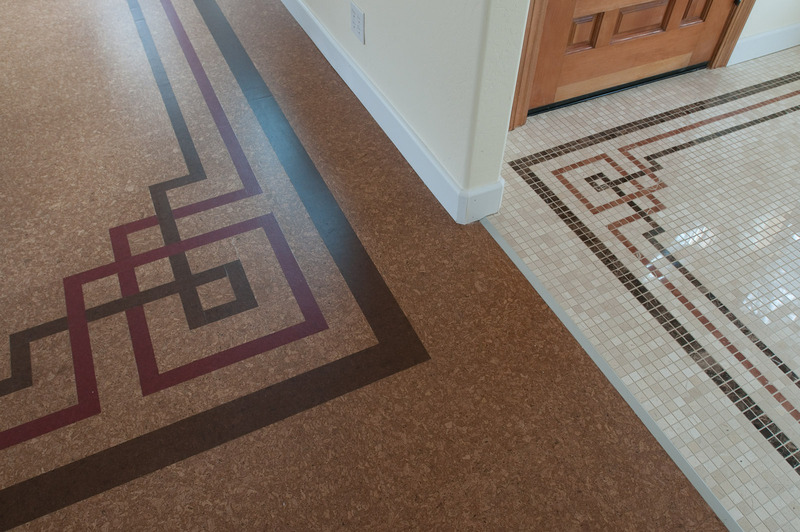 We're very happy with the installation, and would recommend them even to people doing fairly complex jobs like ours. My husband and I in our living room. We designed the pattern of the inlays. The cork inlays are patterned to match the tiles in the entry. 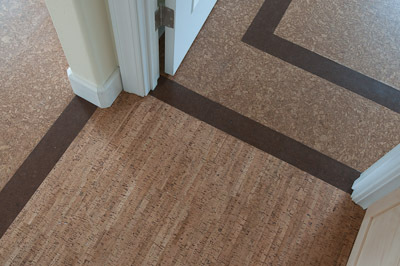 We used three different textures cork, plus darker tinted cork for the doorway transitions. Two of the textures are shown here. 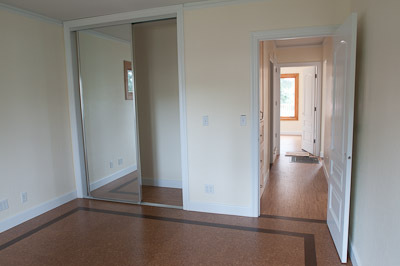 Photo from a bedroom, looking down the hallway. Looking down the same hallway.